When deadly school shootings like the one that took place on Valentine’s Day in Broward County, Florida occur, often they are followed by calls for more stringent security measures. While some of these measures seem sensible, overall there is little empirical evidence that such security measures decrease the likelihood of school shootings. Surveillance cameras were powerless to stop the carnage in Columbine and school lock-down policies did not save the children at Sandy Hook. We believe what is missing from the discussion is the idea of an educational response. 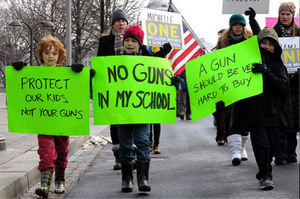 Current policy responses do not address the fundamental question of why so many mass shootings take place in schools. To answer this question, we need to get to the heart of how students experience school and the meaning that schools have in American life. It is time to think about school shootings not as a problem of security, but also as a problem of education.